A few months ago, Google announced the latest edition of its Android OS with version number 8.0. The latest version of the Android operating system is known as Android 8.0 Oreo. This latest Android version comes with a lot of improvements compared to the Android 7.1 Nougat which was before it and as such, a lot of Android users are really looking forward to upgrading their Android devices to the latest Android version (8.0 Oreo). The Settings menu has been reduced to make things more simple and new features like Persistent Notifications for apps running in the background, Adaptive icons where you are given access to choose from different icon shapes such as square, round, squircle or teardrop, the ability to snooze notifications and lot more features have been added in the new Android version. Android 8.0 Oreo has been officially made available on Pixel, Pixel 2 and other Nexus phones. However, a lot of other Android phones are already enjoying the latest Android version thanks to custom ROMs.While there are no other official Android 8.0 Oreo build for phones other than the ones mentioned above, there are still a lot of phones that already have unofficial Android 8.0 Oreo custom ROMs. For example, you can install Android 8.0 ROMs on phones like Samsung Galaxy S2, Galaxy S4, Galaxy S5, Galaxy S6, Sony Xperia XZ, Sony Xperia Premium, OnePlus One, OnePlus 2, OnePlus 3, OnePlus 3T, OnePlus 5, Xiaomi 1s, Xiaomi 2, Xiaomi 3, Xiaomi 3S, Xiaomi Note 3, Xiaomi Note 4, Xiaomi Mi 3, Xiaomi Mi 4C, Xiaomi Mi 4i, Xiaomi Mi 5, Xiaomi Mi 5s and many other phones. These stock ROMs, however, only include basic Android system. The stock ROMs comes with no Googe Apps pre-installed with the builds. 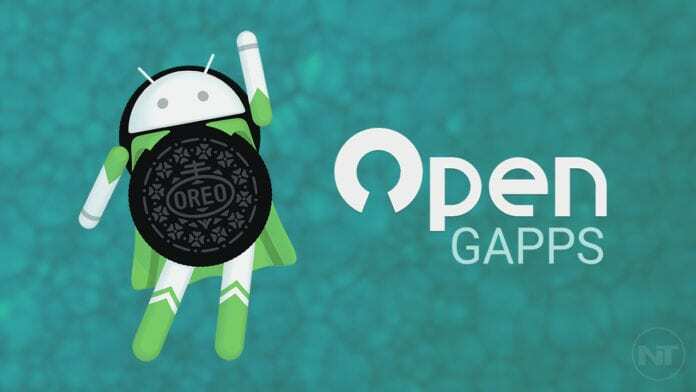 To get full Google functionality on the phones such as Googe Framework, you will need to install the latest Oreo Gapps which stands for Google Apps. Gapps is a package which contains all important Google Apps. Thanks to OpenGapps (Open GApps or Open Google Apps), you can install all the Google apps you want on any Oreo ROM. There are different variants which you can also choose from. There are small packages which contain only the most important Google apps and there are also big ones which contain all possible Google apps. Below is a short description of the packages. Super: All Google apps you can possibly think of. Stock: Recommended package. This package contains all apps that comes preinstalled on the latest Nexus and Pixel phones. Full: SImilar to “Stock”, but it does not replace non-Google stock apps. Mini: This package contains the most popular Google apps with extra functionality not available from the Google Play Store. Micro: Limited set of Google apps. Pico: This package contains the bare minimum which is needed to get Google Play functionality. Aroma: This package is a graphical installer which lets you choose which Google apps you want to install. You can download any of the packages above for Android 8.0 ROMs on 32bit, 64bit as well as x86 chip Android smartphones. Download the package that you want for your phone, and then install it. Here’s how to do it. After you are done downloading the Gapps package you want, move the Gapps package and the Oreo ROM to your phone. Turn off your phone and then boot it into Recovery Mode. You need to have a custom recovery installed on your phone if you do not already have one. Flash the Oreo ROM if you have not already. When your phone is done booting, you will see some of the Google apps installed such as YouTube, Google Play Store, Google Framework and other Google apps too. So, what do you think of the latest Android version? Is it better than the previous Nougat? Share your feedback in the comments section below. Thank you.